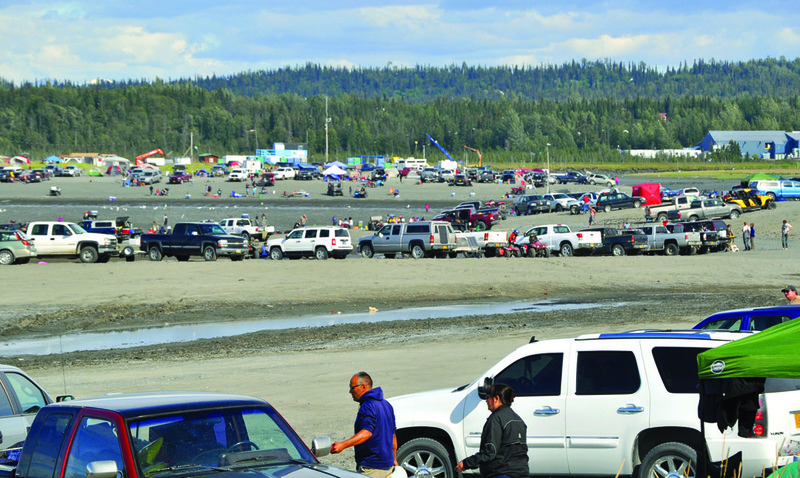 Above, crowds of dip-netters park on the beach at the mouth of the Kenai River in a previous fishing season. 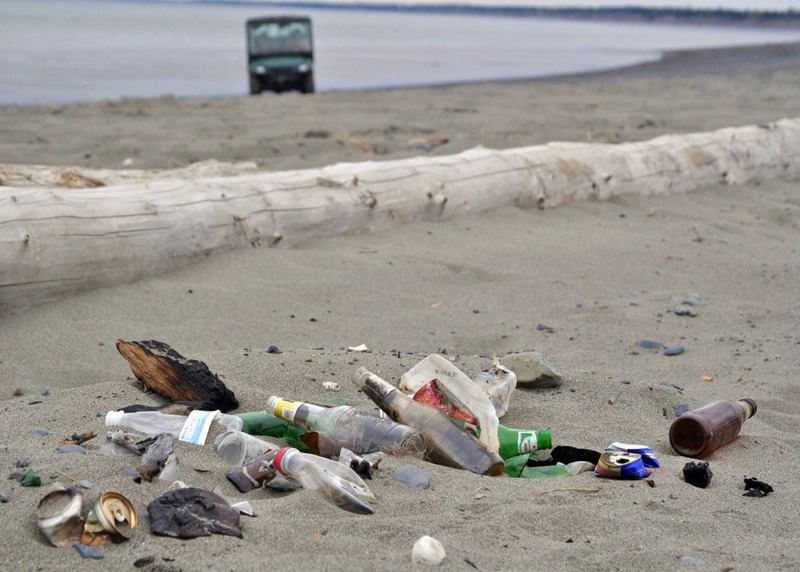 The Alaska Department of Natural resources is proposing a parking lot and other developments to help prevent some of the environmental harms, such as the littering, at right, that occur from the area’s increasing use. With the ever-growing popularity of the Kasilof River personal-use fisheries, the beach is becoming increasingly recognized as an area being loved to death. The crowds that come to fish, camp and recreate in the summer overtax the suitable parking and camping areas, and seasonal garbage and toilet facilities. 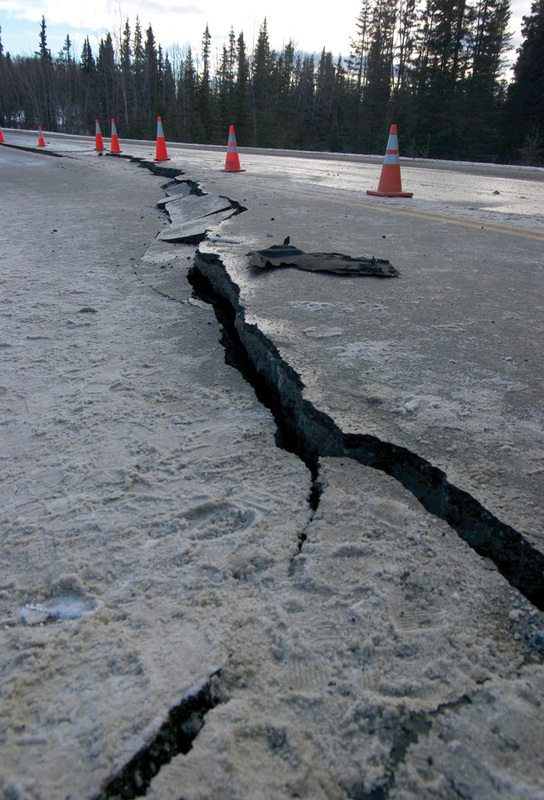 The Alaska Department of Natural Resources has incrementally increased services in recent years — and local efforts resulted in a fence to protect a stretch of sensitive sand dunes and beach grass on the south beach — but not enough to stem the tide of damages resulting from the flood of people each summer. The department is stepping up its efforts on the north beach with a proposal to create a paved parking lot that can accommodate 315 vehicles, a two-way, 40-foot-wide beach access road and developed areas for seasonal Dumpsters and toilets. A 45-day public comment period began Oct. 15 and closes Nov. 30 on the site concept plan for the North Side Improvement Project planned for the Kasilof River Special Use Area. “The issues or problems to be solved with this project include addressing degradation of sensitive coastal dunes and wetlands, unimproved parking areas, insufficient access for emergency and sanitation services and trespass onto private property,” Clark Cox, the department’s regional manager, stated by email. So far the plan doesn’t propose instituting user fees, such as for parking or camping. “User fees are not being proposed at this time. 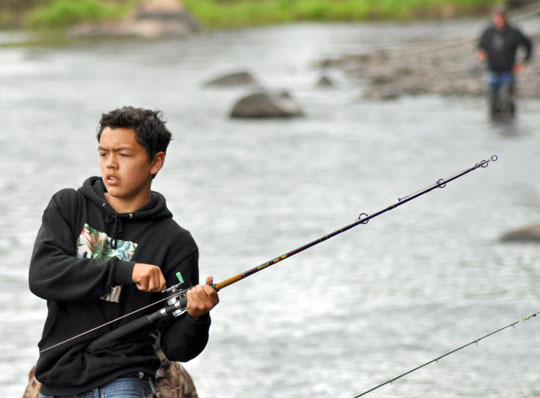 In order to have the ability to collect user fees for the Kasilof River Special Use Area during the personal-use fisheries at some point in the future, the department would be required to adopt a regulation through a public process,” Cox stated. Participation in the personal-use fishery overall and at the Kasilof, in particular, has skyrocketed. 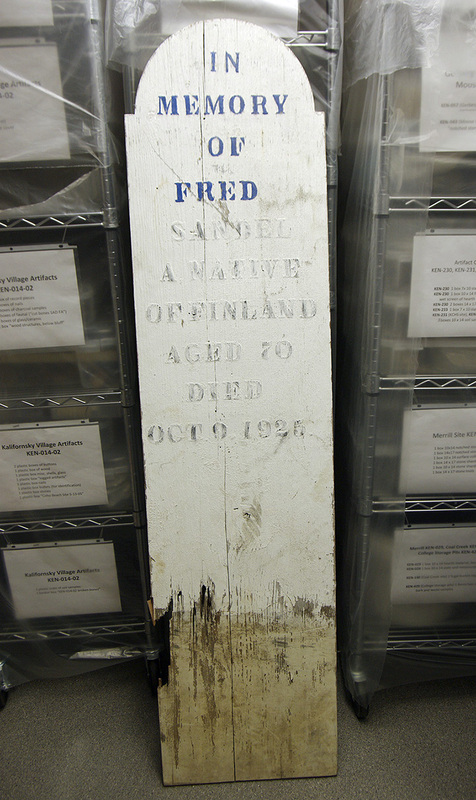 According to the Alaska Department of Fish and Game, in the first year of the fishery, 1996, 14,575 permits were issued to Alaskans, and dip-netters participated on 1,300 “household days” at the Kasilof. A household day is fishing by one or more household member in a 24-hour period. 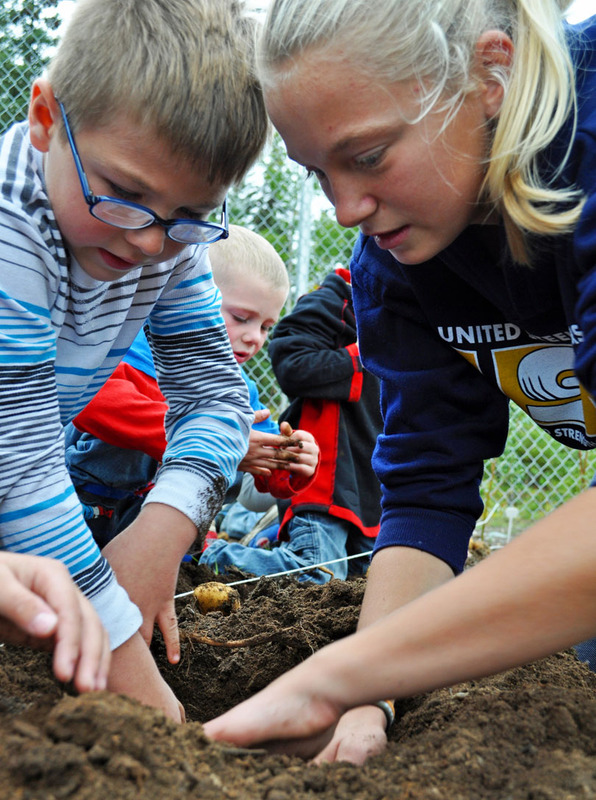 For comparison, the Kenai River experienced 10,503 household days fished the same year. Photos courtesy of Paul Gauthier. 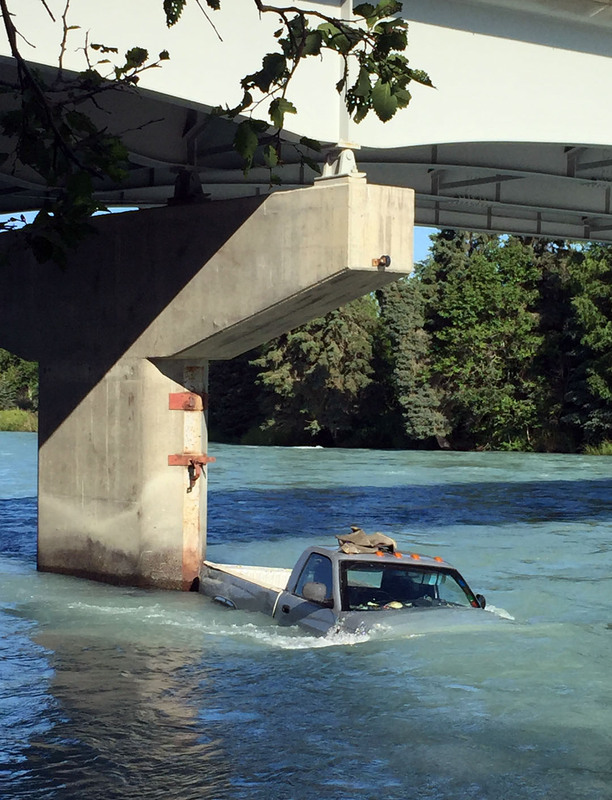 A pickup truck slid into the Kasilof River and became lodged at the Sterling Highway Bridge on Sunday afternoon. Trouble came as a pair Sunday afternoon on the Kasilof River. Two kayakers flipped their boats around 4 p.m., followed shortly thereafter by a truck going for a swim at the boat launch just upstream from the Sterling Highway bridge. Joshua Thompson, an engineer with Central Emergency Services, said no one was hurt in either incident. CES launched its rescue boat and picked up a female kayaker from the sand bar on which she’d ended up, while a drift boat reportedly retrieved her male companion. Thompson said the CES crew checked the scene at the boat launch but found no one in the water, as the owner of the truck was able to rescue himself. Paul Gauthier lives about a mile and a half upstream from the bridge. He and a friend were doing some house painting when they spotted something odd floating downstream. “What I saw was some movement, just another boat floating down the river. But my friend said, ‘What is that? It looks like ice.’ And I saw an inflaitable raft rowing after this thing. I said, ‘It looks like a cooler.’ Then I looked at it and said, ‘Oh, nope, it’s a kayak,’” Gauthier said. 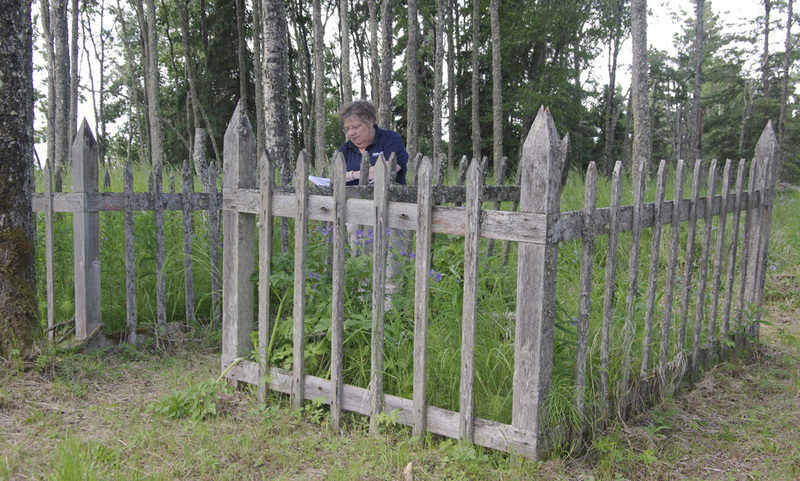 Photo by Joseph Robertia, Redoubt Reporter. 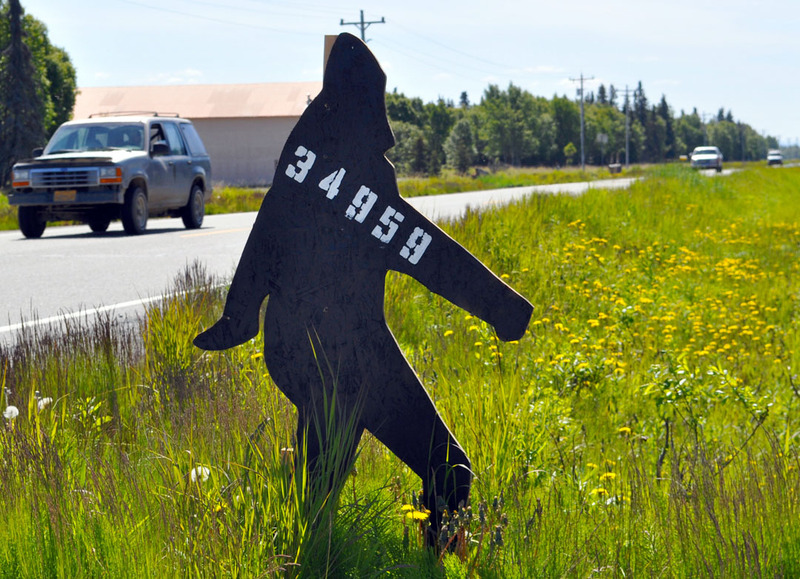 A newly erected, man-size Bigfoot cutout along Kalifornsky Beach Road between Kenai and Kasilof serves as a unique driveway marker and address sign for the Luecker-Borce family. Tourists are often eager for a lucky glimpse of a bear, moose or caribou while driving around the Kenai Peninsula, and lately, between Kenai and Kasilof, the silhouette of an even more rarely seen species has drivers turning their heads. Bigfoot is on the highway. “Everyone else has a salmon or buoy or reflectors. I wanted something more interesting,” said Casey Luecker, who erected a man-size Sasquatch cutout along Kalifornsky Beach Road to serve as his driveway marker and address sign. At first glance when driving by, the all-black shape could be mistaken for a black bear, but those familiar with the lore surrounding the enigmatic hominid would immediately identify Luecker’s work as the bipedal pose from the famous frame 352 of the 1967 Patterson-Gimlin film, which introduced Bigfoot to the world. “It’s actually a five-eighths reproduction,” said Luecker, who made the silhouette out of plywood, using a jigsaw and reduced specifications. By some estimates, the creature is anywhere between 6 and 10 feet tall and weighs around 1,000 pounds. Exact dimensions haven’t been confirmed, of course, since Bigfoot is undeniably the grand champion of hide and seek. Luecker said that he considers himself an amateur cryptozoologist — those who search for animals or creatures that appear in myths and legends, are considered extinct or whose existence is not yet proven. While generally termed pseudoscience, the International Society for Cryptozoology proved its worth to naysayers in 1901 when member Henry Morton Stanley, while exploring the Congo for a whispered-about species, proved the existence of okapi — a small member of the giraffe family that has stripes like a zebra. The okapi is now intensely managed as an endangered species. As for Bigfoot, Luecker said he leans toward believing it could exist, concealed deep in the woods, in numbers so low that the species remains elusive.